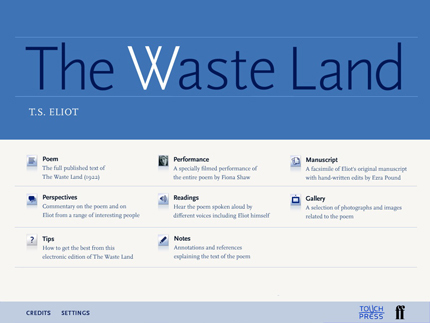 Waste Land for iPad, Little Mags too? Faber has released an iPad app for The Waste Land with all kinds of bells and whistles: 4 readings of the poem (in declining order of masculine virility: Ted Hughes, Viggo Mortensen, Alec Guiness, and 2 by Possum himself); Fiona Shaw’s performance piece; video comments by Seamus Heaney, Jeanette Winterson(! 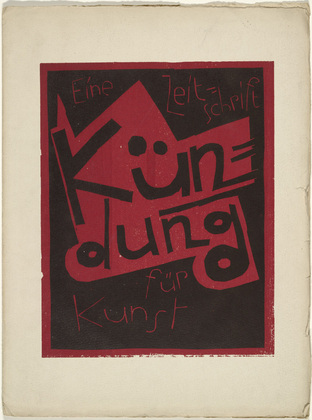 ), and others; explanatory notes; a gallery of photos; a facsimile of the manuscript; and more for $13.99. In addition to being an exciting addition to the corpus of modernist media, the app raises enticing possibilities for periodical studies. 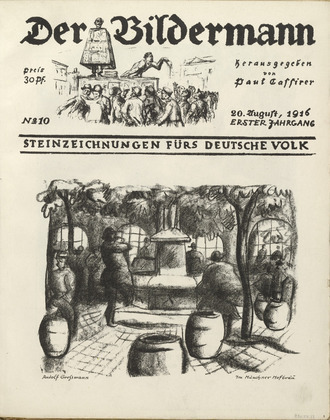 Printed facsimile editions of little magazines never made much of a dent in classrooms because they are expensive, bulky, and ugly. As we move into the age of teaching with tablets (I know–we’re a ways off yet), we want to think about how we could present periodicals in this kind of rich format (he types without having actually seen The Waste Land app–anyone bought it yet?). How terrific would it be to have a properly annotated digital version of Blast or the New Age? Here’s a link to a short video about the app. Moretti’s “Network Theory, Plot Analysis” and periodicals? 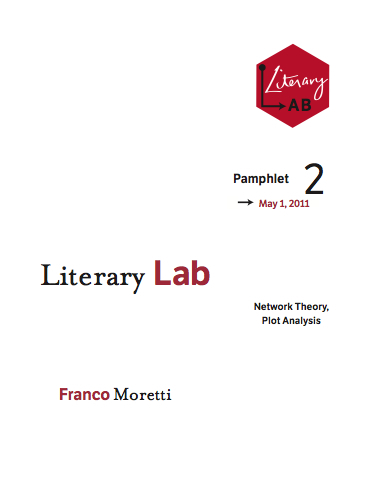 Justine Price recently posted about a Franco Moretti interview about using network analysis as a tool for literary study (Thanks, Justine!). He’s published a piece on this in the most recent New Left Review, but there’s a longer version of the article with more material available at the Stanford Literary Lab’s website, where they refer to it a pamphlet number 2. 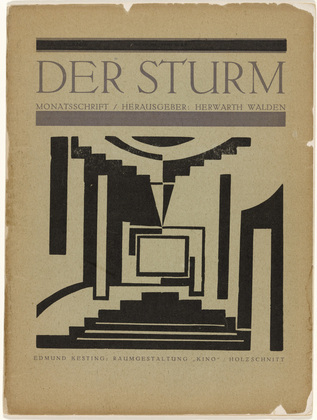 If you haven’t read the Lab’s first pamphlet, on quantitative formalism, it presents a pretty fascinating way to think about genre. *I hope so, since I’ve organized a panel on this subject for MSA!